Ahhh . . . 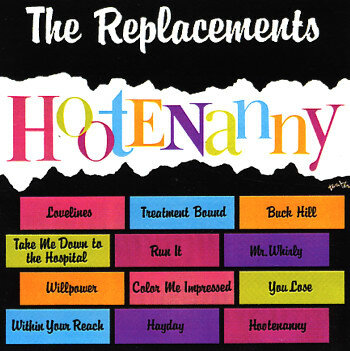 The young genius of The Replacements! A bit punk, a bit garage, with a heartfelt quality that you didn't always find in indie rock at the time. These rough hewn gems are already as brilliant as they can be – shiny little diamonds that show Westerberg and crew working at top form, possibly topper than they'd ever be at in later years. Every single track is fantastic – and the album dances from number to number with delight, an endless array of great hooks, soulful vocals, and searing guitar bits that are laid out with early 80s economy! Titles include "Take Me Down To The Hospital", "Run It", "Color Me Impressed", "Within Your Reach", "Buck Hill", and "Treatment Bound". © 1996-2019, Dusty Groove, Inc.